A trademark may be almost anything that is used to identify a product or service. Trademarks can include words, logos, shapes, colors, and combinations of the same. Trademarks can represent one of the most important assets of many businesses. Having a good trademark can distinguish the business’ products and/or services from those provided by competitors. Accordingly, it can be critical to the success of a business to secure trademark protection. Despite the value that good trademark protection can provide, probably even more so than with patents, clients may hold the belief that they can file a trademark application or maintain a registered trademark without the assistance of an attorney. It is understandable that clients are reluctant to incur the expense of hiring an attorney to handle trademark matters when the forms seem easy to fill out and, of course, doing the filing without an attorney seemingly can save money. However, the pitfalls of cutting corners when it comes to securing and/or maintaining trademark protection can be myriad.A. Failure to Adequately Select an Enforceable TrademarkWhen a client attempts to file his/her trademark without the assistance of an attorney, issues sometimes arise because the client may not have done the due diligence to reasonably confirm that the trademark is a good one (i.e., capable of being protected and enforceable). An enforceable trademark is one that allows the owner of the mark to stop others from using the same or similar marks in connection with similar products or services associated with the enforceable trademark.A trademark is more likely to be enforceable when it is distinctive and actually services to distinguish the goods or services associated with the mark from those goods or services provided by others. One of the more common problems when clients attempt do-it-yourself trademark protection is selecting a descriptive trademark to be protected. A descriptive trademark is defined as one that describes a quality of characteristic of the good or services to be associated with the mark, and these are the marks that are usually the hardest ones to enforce. Yet, a client who is unfamiliar with the trademark laws may believe that his/her selected trademark is good because it describes the goods and/or services to be associated with the mark. Similarly, the client may believe that the trademark is good because a potential consumer would know what is being sold merely by being presented with the mark.When a client selects a descriptive trademark to be protected, the client runs the risk that the U.S. Patent and Trademark Office may reject that mark for being too descriptive, causing the client to not be able to obtain a registration at all. The client may attempt to go at it alone until the U.S. Patent and Trademark Office issues the rejection. At this point in time, the attorney may have limited options to address the rejection. The attorney may recommend that the client amend to place the trademark on the Supplemental Register until such time as the trademark owner can show long and extensive use, making the mark distinctive. This can be a strategy to address the rejection, but the client must then be prepared to make the investment of time and money to make the mark worthwhile to maintain.Another potential pitfall of failing to adequately select an enforceable trademark at the outset is that when the U.S. Patent and Trademark Office performs a search during examination, they may identify an existing mark that presents a potential bar to registration because of likelihood of confusion. In such a scenario, the mark may not be protectable, and in fact, may be infringing, thereby causing the client to have to rebrand a business or product. This may cost the client much more money than would have been paid to a trademark attorney.The best way to identify such problems is to carry out proper searches prior to filing. These searches may determine the availability of the mark for use and registration with respect to one or more classes of goods and services. Conducting a search may disclose marks that are identical or similar to the proposed mark. If the proposed mark is identical or sufficiently similar to an existing mark, which is used for goods and/or services that are the same or similar to the proposed goods and services, there could be a risk of likelihood of confusion between these marks. Such likelihood of confusion could cause the denial of a registration of the proposed mark or expose the client to liability for trademark infringement if it uses the proposed mark. Unfortunately there are no bright-line rules as to whether there is a risk of likelihood of confusion or the degree of such risk. Instead, it is a question of fact depending on an assessment of each individual mark as well as an assessment of the degree of similarity of the relevant goods and/or services. Having an attorney assist with such an evaluation prior to filing a trademark application is perhaps one of the most effective financial investments a client can make, as it can potentially help to avoid major legal and other business costs down the road, particularly if it helps to avoid a rebranding campaign.B. Failure to Meet U.S. Patent and Trademark Office RequirementsAnother pitfall that may arise with do-it-yourself trademark applications is when a client does not fully appreciate the U.S. Patent and Trademark Office requirements for trademark applications. Some of the most common mistakes arise with respect to identifying the proper owner of the trademark, knowing when to file an “intent-to-use” application as opposed to a use-based application, and accurately describing the goods and services associated with the mark.1. Ownership IssuesThe trademark application must correctly state who owns the trademark rights. If a company is identified as the owner of the trademark, the company should be legally formed and registered; otherwise, there may be an argument that the trademark registration was issued to a non-existent party, making the trademark unenforceable.2. Intent-to-Use versus Use-Based FilingIf a client is not yet using the trademark in connection with goods or services in the marketplace (i.e., interstate commerce) but still wants to proceed with protecting the trademark, the client should file an intent-to-use (ITU) application. Upon allowance, an ITU application may protect the mark while giving the owner time to get the mark associated with the goods and services and out into the marketplace. However, in a do-it-yourself trademark application context, the client may not appreciate the difference in the types of filings. In such a scenario, the client may need to re-file the trademark application, so as to make it an ITU application as opposed to a use-based application. At the very least, this raises the costs of securing protection, as another filing fee would need to be paid. But there also is a risk that another party may secure rights in the same or similar mark in the interim, thereby eliminating or at least reducing the protection that the client may be able to obtain.3. Accurately Describing Goods or ServicesA trademark application requires an identification of the goods or services to be associated with the trademark. The U.S. Patent and Trademark Office provides a list of pre-approved descriptions for goods and services. Trademark attorneys are trained to consult this list and identify the proper goods and services to be associated with a trademark. This is particularly important in the scenarios where the pre-approved descriptions may not entirely align with a trademark, and the attorney may rely on his/her experience with the U.S. Patent and Trademark Office to suggest descriptions that are likely to be approved. With do-it-yourself trademark applications, the most common problems arise when the client does not know to consult the pre-approved descriptions for goods and services or the client otherwise includes an improper description of the goods and services to be associated with the mark. This may lead to one or more rejections, thereby increasing the costs to obtain registration.Another pitfall that arises with respect to preparing a description of goods and services is exaggeration of the goods and services allegedly associated with the trademark. 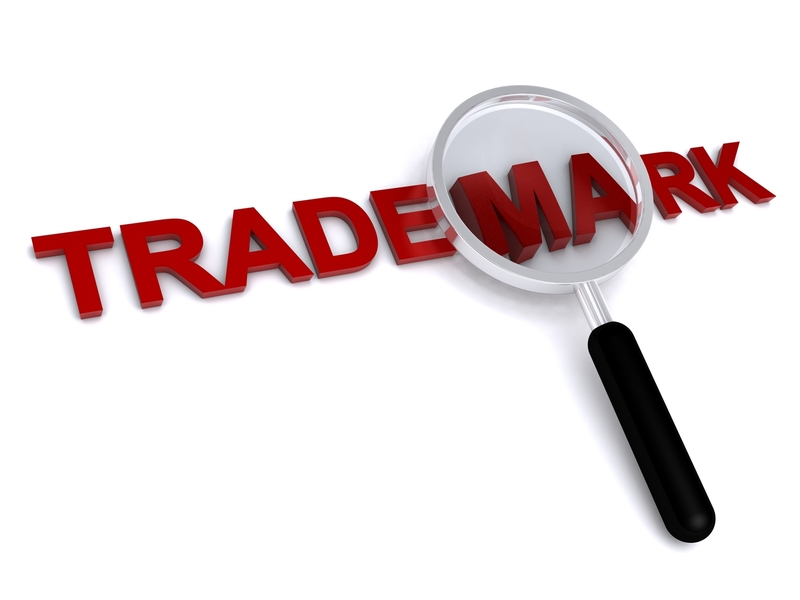 The goods and services section of a trademark application should describe how the mark is or will be used in commerce. Applicants sometimes tend to list every potential product or service that they can think of being associated with the mark. This may be another example of applicants thinking that they are getting the most out of the filing fee paid to the U.S. Patent and Trademark Office; however, applicants engaging in this practice may be doing themselves a great disservice. If the mark is registered for goods and services that are not actually associated with the mark, the applicant may be viewed as having committed fraud on the U.S. Patent and Trademark Office and it could lead to nullification of the trademark registration in its entirety. Trademark attorneys are trained to scrub the description of goods and services and to drop any goods/services not being associated with the mark, prior to registration to minimize the likelihood of fraud on the U.S. Patent and Trademark Office or potential unenforceability of the trademark in the future.On the other hand, applicants sometimes omit goods and services actually being used in commerce or those where there may be a legitimate intent-to-use. Applicants may not be aware that the description of goods and services cannot be expanded beyond what was presented in the initial filing. While applicants may file additional applications to cover additional goods and services, careful consideration of the description of goods and services prior to the initial filing may save time and money down the road.The bottom line is that applicants are required to be accurate and honest in including only goods and/or services for which the applicant has used in commerce or has an intent to use in commerce (with an ITU application). Taking time to confirm the use or potential for use of each item identified in the description may ensure the survival of the trademark registration.C. Failure to Adhere to the “Less is More” PrincipleIn do-it-yourself trademark applications, many applicants make the mistake of filing for protection on the most detailed version of their trademark (i.e., full color logo with business name and slogan). It is possible that applicants do so believing that the detailed version is most likely to be approved for registration. It also may be a cost issue, believing that inclusion of all features maximizes the filing fee paid to the U.S. Patent and Trademark Office. However, protecting the most detailed version of the trademark (without separately protecting other aspects, such as the logo or the slogan) may dramatically limit the breadth of the registration. This may then affect the client’s ability to enforce his/her trademark rights. More specifically, in such a scenario, to prove infringement, the client would have to show the competitor used a confusingly similar name and logo and slogan. While this may be possible to prove, it is less likely that a competitor would use all three components. In contrast, if the client were to protect the business name alone, with no particular claim to font or color, the client may be placed in a better position to show a confusingly similar commercial impression, even if the competitor utilized a drastically different logo in connection with the similar business name.These are issues that trademark attorneys typically consider prior to filing a trademark application. Even when a client files a do-it-yourself trademark application containing the most detailed version of the mark, it is still possible to file separate trademark applications on the logo or slogan or name later, but the client may have saved money and time while gaining more protection by consulting an attorney first.D. Failure to Complete/Maintain Trademark RegistrationThere may be scenarios in which a do-it-yourself trademark application may be allowed. However, applicants may not be aware of what is required to actually have the trademark application proceed to registration, and online services do not always provide the information sufficient for applicants to ensure compliance. For example, in the past, LegalZoom has sent trademark applicants a letter telling them that it is time to file a trademark statement of use in connection with an ITU application. This letter stated “[b]ecause you filed your trademark on an ‘Intent to Use’ basis, you now need to file a Statement of Use to complete the application process. This must be done within 6 months of your original filing date.” However, there is no such time limitation for submission of a Statement of Use following filing of an ITU application; rather the Statement of Use (or a request for extension) must be filed within 6 months after the ITU application has been allowed. While the LegalZoom letter confirmed that extensions of time are available to file a Statement of Use, unwary applicants may be led to believe that use must be more imminent than the U.S. Patent and Trademark Office requires, causing applicants to manufacture dates of first use or specimens that may be questionable. This too may lead to a trademark registration that later may be found unenforceable.There are other scenarios where do-it-yourself trademark applicants may believe that they have a registered trademark merely by filing a trademark application. Having this belief, if the U.S. Patent and Trademark Office issues a rejection of the trademark application, they may not respond to the rejection within the prescribed time limit, and this may result in abandonment of the trademark application.Even once the trademark has been registered, do-it-yourself trademark owners may not appreciate the requirements that must be met to maintain a trademark registration. A trademark registration never expires until the owner fails to show continuous use in commerce or the owner fails to renew the trademark. Trademarks in the United States must be renewed every 10 years. If the registration is not renewed, it will be cancelled. Further, a Section 8 Affidavit showing use or justifiable non-use must be filed between the 5th and 6th year of the first registration term. A Section 8 Affidavit and a Section 9 renewal application must be filed every 10th year to maintain the registration in force. The most common pitfall with do-it-yourself trademark owners concerns failure to maintain a trademark registration. If a trademark owner works with an attorney to obtain/maintain trademark registrations, these deadlines would be docketed, and the trademark owner would likely receive reminders from the attorney in advance of the deadlines to take action. While there are some online services that will provide trademark owners with unsolicited reminders of renewal deadlines, these reminders are not always accurate and also sometimes look more like advertisements, causing trademark owners to disregard them. Failure to renew a trademark registration when there is continuous use in commerce may not be fatal, but like the other pitfalls previously described, it can prove costly as a new trademark application may need to be filed, thereby restarting the application process when it was not necessary to do so.E. ConclusionWhile there are numerous other pitfalls that may occur with do-it-yourself trademark applications, including oppositions following trademark publication, changes in ownership following registration, and submission of proper specimens with a trademark application, the above examples provide context for the perils that may befall a do-it-yourself trademark applicant or owner. Incurring the expense of consulting an attorney to file and/or maintain a trademark can often be minimal in comparison to the costs that may arise in attempting to salvage an application containing serious errors, reviving a trademark registration that has lapsed, or fighting an infringement lawsuit.It can be risky to bet the future of what can be a business’ vital assets – including trademarks – by using do-it-yourself IP in an attempt to save money in the short run.With trademarks, a business’ brand can often be its most valuable asset, and so it is not advisable to be penny wise and pound foolish in seeking to protect it. Even when a do-it-yourself trademark applicant utilizes an online service, such as LegalZoom, the online service often does not help the trademark owner evaluate the risks of adopting a mark, both in terms of determining the risk of infringing a third party’s trademark rights or in terms of adopting a mark that may not be sufficiently distinctive to register. These areas where an experienced trademark attorney can provide guidance that an online service cannot (or will not).